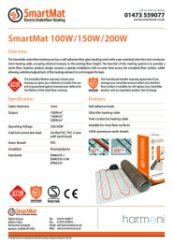 The SmartMat underfloor Kit includes the finest of products. 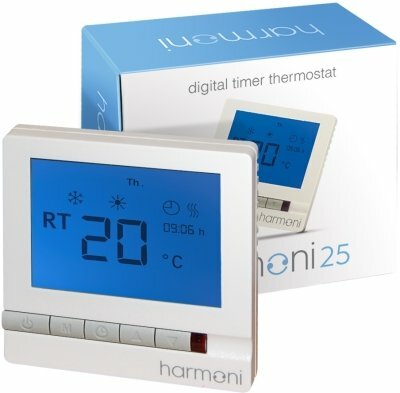 Built up with a SmartMat 200w/m2 0.5m2 Mat, a Danfoss ECtemp programmable thermostat, Superspray adhesive for matting (500ml), a Sensor tube, Installation instruction and SmartMat warranty. 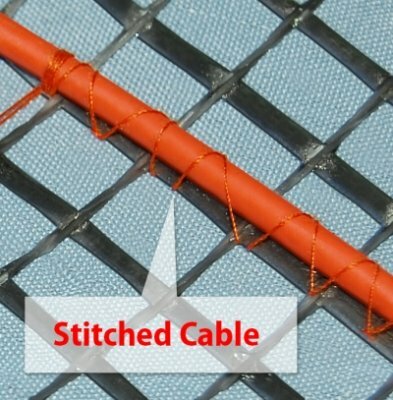 The SmartMat underfloor heating mat has a self adhesive fibre glass backing mesh with an ultra-thin twin conductor 3mm heating cable pre attached, ensuring minimal increase to the existing floor height. The function of the matting system is to provide a warm floor. 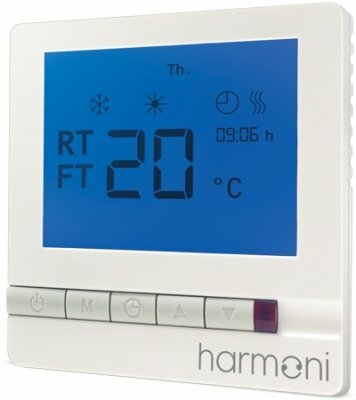 Superior product design ensures a speedy installation with an even heat across the complete floor surface, whilst allowing unlimited adjustment of the heating element to suit irregular formats. You will require the following items to install and test the floor warming systems. 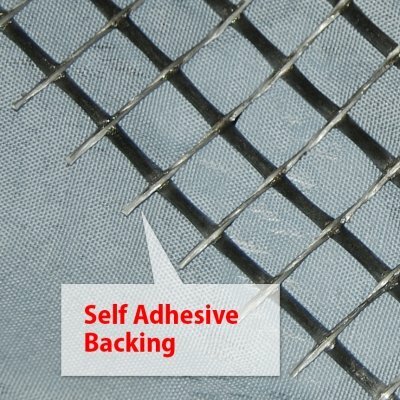 You will also need the appropriate tools and materials to install your finished floor surface; these will probably include products like self-levelling compound, insulated backer board, notched tile trowel and various other tools and materials for your specific project.